The second-generation AMC Javelin was called the “Humpster” for its enormously arched front fenders. The second-generation AMC Javelin was called the “Humpster” for its enormously arched front fenders. 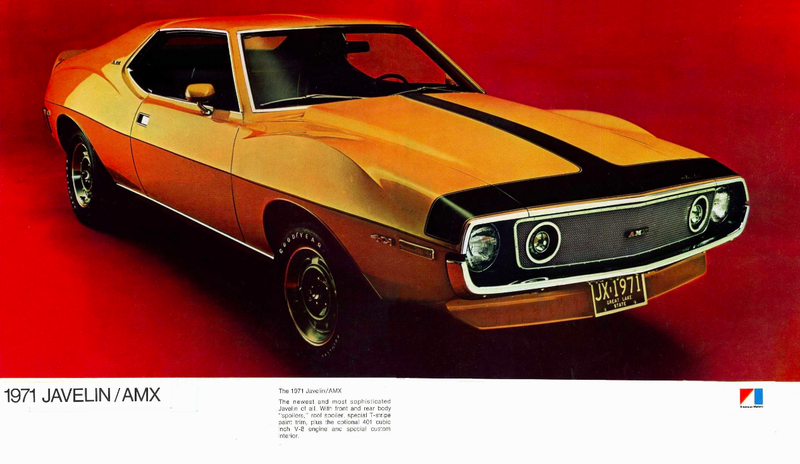 According to Hemmings, in 1971—after designing the two-seater AMX and the first-gen Javelin in the ’60s on the Rambler American platform (in an effort to “catch up to” Ford’s Mustang)—AMC nixed the AMX model and redesigned the Javelin to be much larger. 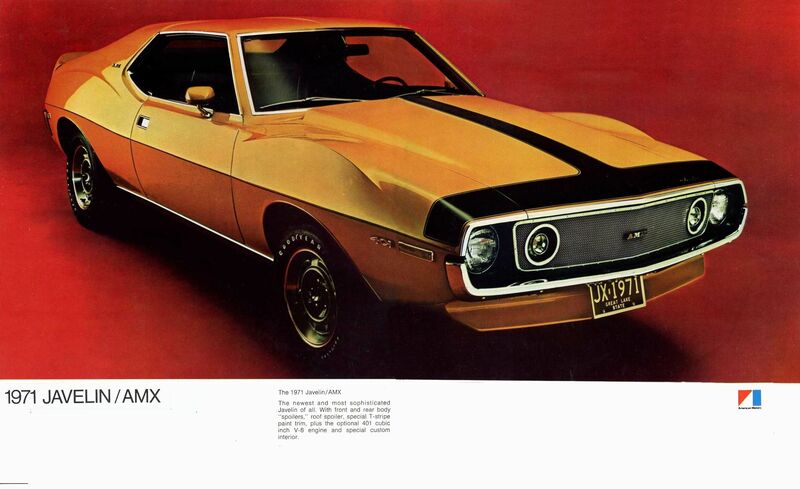 The AMX name lived on as a performance variant of the new Javelin, shown above.